Our newest Registered Massage Therapist, Jana Arnold-Mishra, has become an expert in helping people recover from winter back pain. Jana is no stranger to the studio, she was a part of our team about 10 years ago and rejoined in the Fall (lucky us!). She says the most common ailments she treats this time of year are stress and tension related headaches, stress in general post holiday and of course, back pain due to shoveling. During treatment she’s known for using some highly effective myofascial techniques, some deeper muscle stripping techniques along with trigger point work, focusing mostly on lower/mid back and glutes as a post shoveling treatment plan. She also likes incorporate some calming essential oils and perhaps include even a bit of Reiki (sign us up!). (hot and or cold packs, depending on each individual situation). Jana recommends ice for inflammation, heat/swelling and acute injuries and heat for more chronic issues and tight/stiff muscles. Grab a big bag of Epsom salts (available at the drugstore) and sprinkle 1 to 2 cups into your bath and have a nice relaxing soak. Epsom salts help relieve sore stiff joints and muscles and may even help you sleep better. All helping your healing process. Jana often recommends using the Yoga Tune Up® balls to help work on fascial adhesions and tight muscles. Check out the schedule… We offer Yoga Tune Up® classes Tuesdays at 11:45am with Laura Cornish – have you tried a class yet? Make use of Jana’s expertise, she is available at the studio for treatments Tuesdays and Thursdays between 10am and 1pm. Feel free to call the studio to book your session. 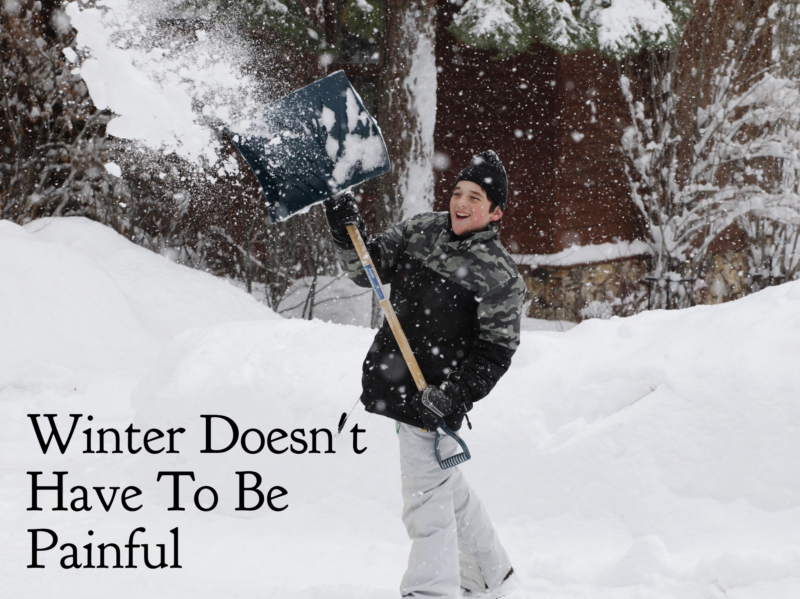 We hope you take these suggestions to heart this winter. Stay warm, take care of yourself and remember we are here when you need us. The objective voice behind the Spine Stretch Team.